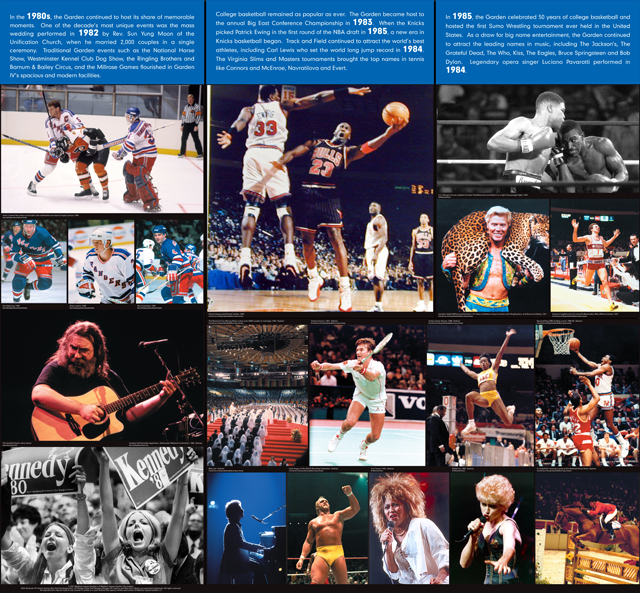 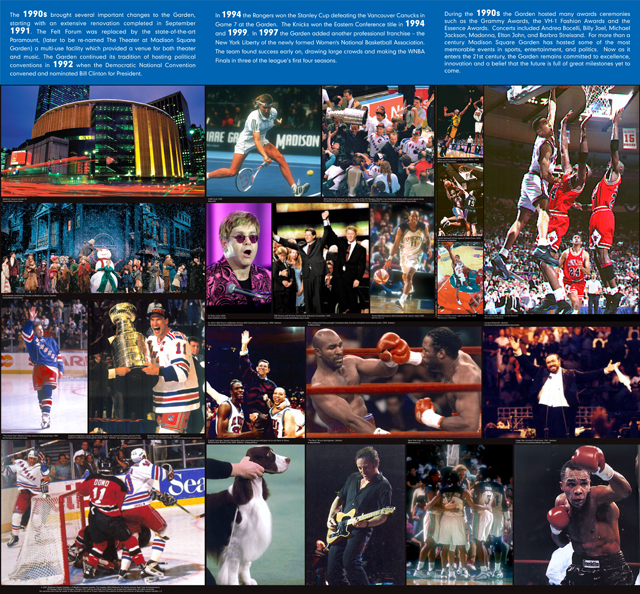 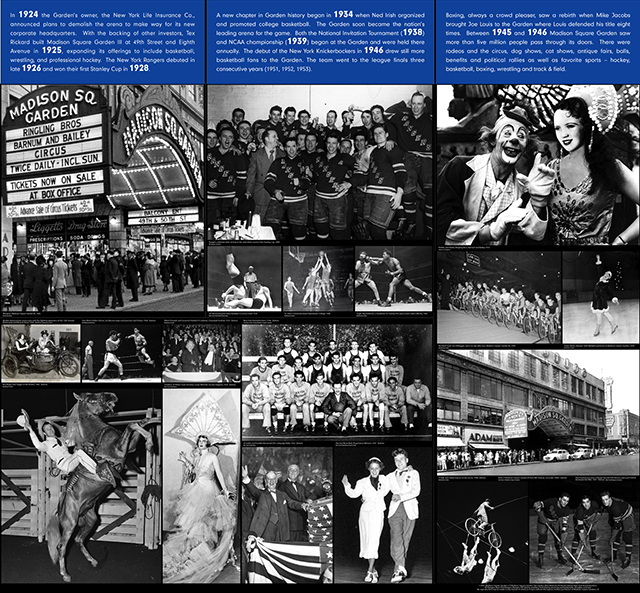 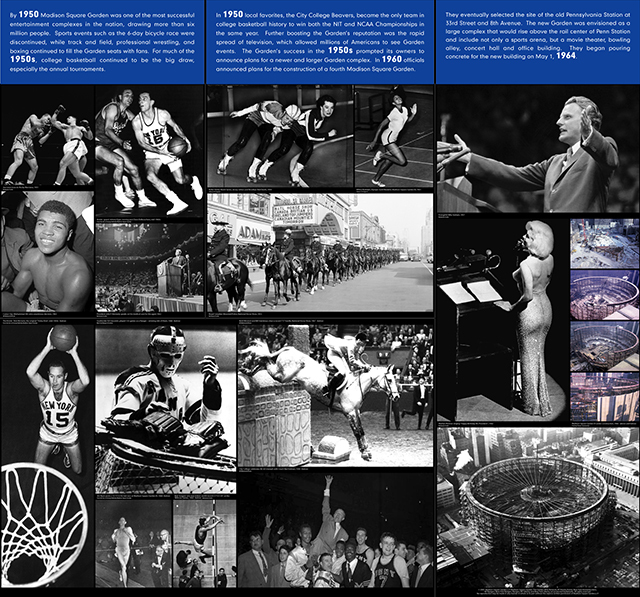 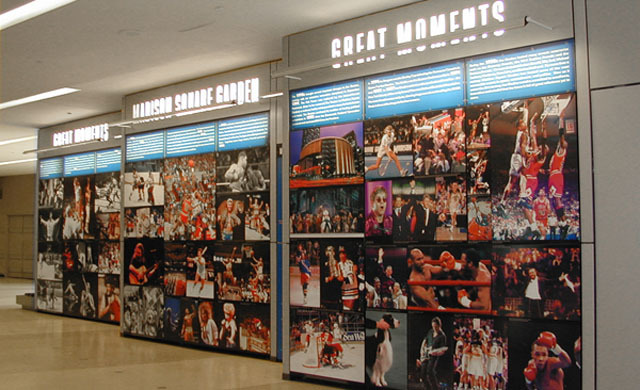 New York City has long been known as the epicenter of the world and Madison Square Garden played a significant role in the city’s sporting, political and cultural history. 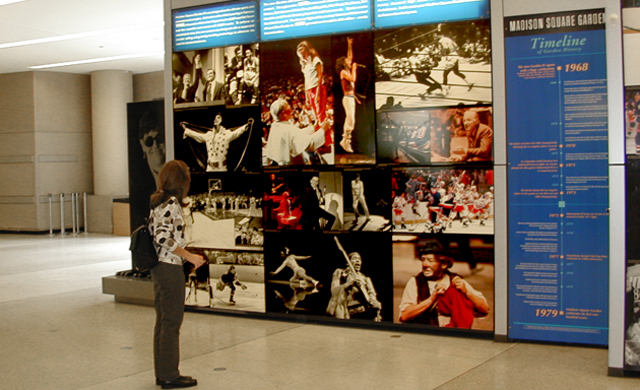 Great Moments in Garden History is a public exhibit illustrating many memorable historic events. 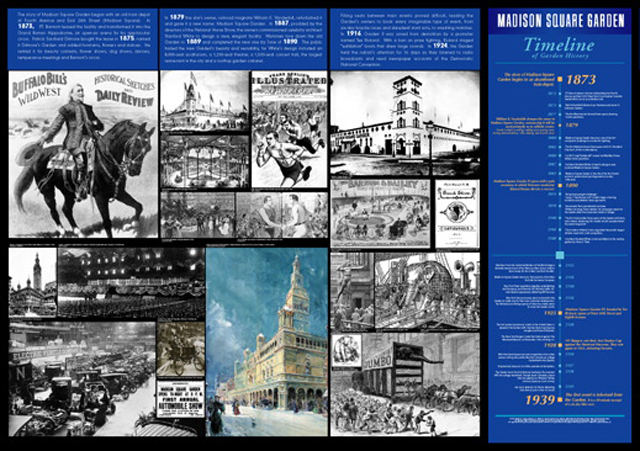 From 1874 when P.T. 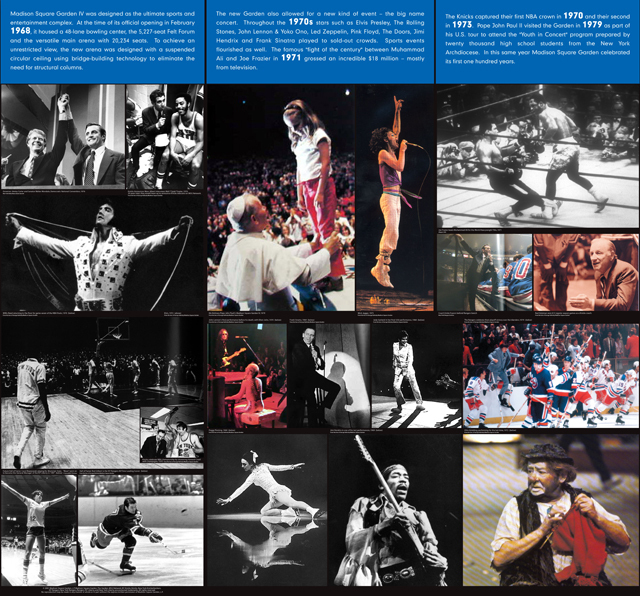 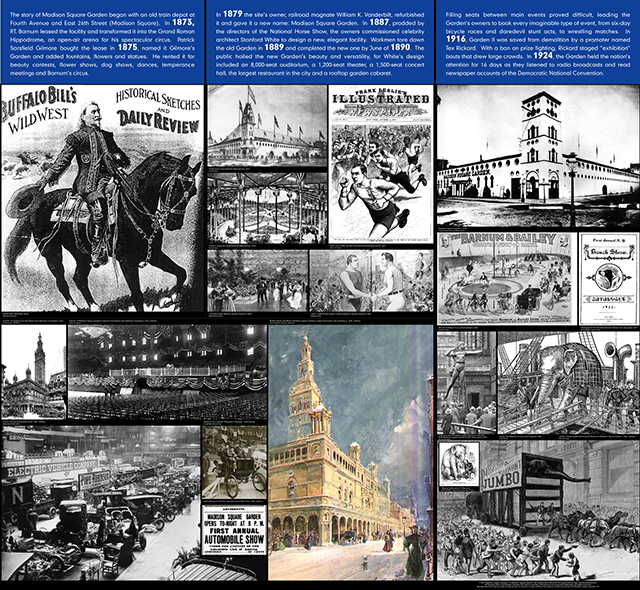 Barnum unveils his open-air Great Roman Hippodrome to the most recent political rallies and athletic events, the photographs present a multitude and diversity of events that span the Garden’s long 130-year history. 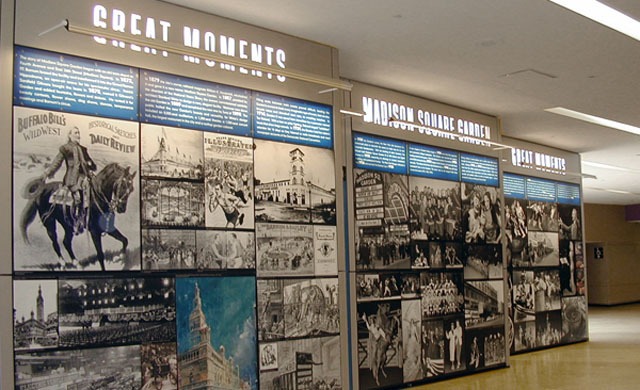 At night, the six large display panels open to become merchandise stands behind.